Los Angeles (AFP) - Anthony Davis scored 45 points as the New Orleans Pelicans jolted the Boston Celtics 116-113 in an overtime thriller at the TD Garden on Tuesday. Davis, who before the game had brushed off reports linking him to a move to Boston, gave the home fans a glimpse of what they might be missing as he turned in a virtuoso performance. 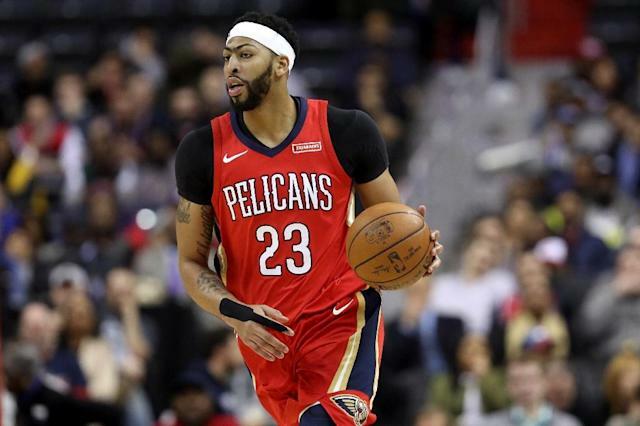 The 24-year-old power forward showed sensational form, also chipping in with 16 rebounds and two assists, as the Pelicans improved to 23-20 to rise to sixth place in the Western Conference standings. It was the third consecutive 40-point game for Davis, who scored 48 against the New York Knicks on Sunday and 41 against Portland on Friday. "I just go out there and try and lead my team to victory," Davis said. "It was a good win for us tonight." Davis was backed with 23 points from Jrue Holiday while DeMarcus Cousins added 19. Ian Clark added 15 from the bench as the Pelicans held their nerve in overtime to close out the win. The Celtics meanwhile remain firmly in charge at the top of the NBA's Eastern Conference at 34-11, but they saw a seven-game winning streak snapped with the loss. Kyrie Irving led the scoring for Boston with 27 points but the Celtics were left ruing an inability to close out the win after leading 101-96 with two minutes left in the fourth quarter. Davis had provided the inspiration for New Orleans, producing two clutch free throws to put New Orleans 104-102 ahead as the buzzer ticked closer. But Irving conjured a driving layup with 11.8 seconds to force overtime at 104-104. Marcus Smart made a 10-foot pullup jumper to help Boston take a 113-110 lead with just over two minutes left in overtime. But Cousins hit back with a two-pointer before Holiday made it 114-113. Holiday then sunk a 13-footer to make it 116-113 and the Pelicans held on. "I told him to be aggressive and he was," Davis said of Holiday's performance. Celtics coach Brad Stevens blamed poor defensive play in the closing minutes for the defeat. "We didn't guard tonight," he said. "We went on a drought quite late and that was critical. You'd like to have some of those shots back. "There was a lot that contributed to it but I'd say the defensive end, we were really poor on that end." Elsewhere Tuesday, Evan Fournier starred for the Orlando Magic in a 108-102 upset of the Minnesota Timberwolves in Florida. The Magic went into the contest languishing at the foot of the Eastern Conference with the worst record in the division. 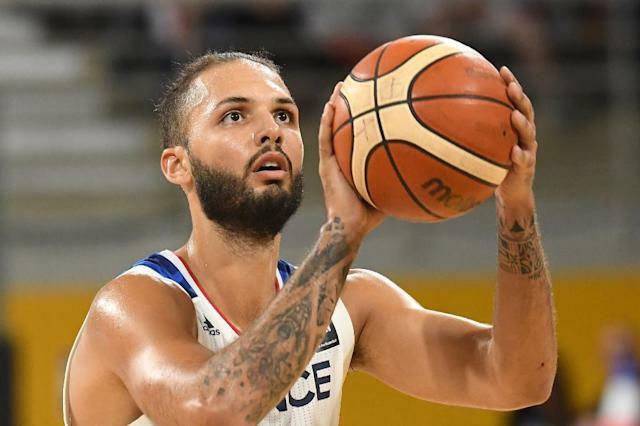 But a career-high scoring display from France's Fournier, who finished with 32 points, helped the Magic stun the Timberwolves, who have the third best record in the Western Conference at 29-17. D.J Augustin posted 18 points from the bench on a night when six Magic players cracked double digits. Aaaron Gordon had 14 points while Bismack Biyombo produced a towering defensive display with 10 points, 16 rebounds and five blocks. "It feels good, especially against a very good team," Fournier said of his display. "They were playing really well before us. It's a good win. Defensively we did the job." Jimmy Butler led the scoring for the Timberwolves with 28 points while Taj Gibson chipped in with 18 points and Karl-Anthony Towns 15.